“The Sleep Genie” is the name of the CES Ultra in Canada. Fortunately, there is an emerging technology that is non-addictive and has outstanding results, helping 85% of trauma sufferers who use the device regularly. There are several devices on the market, the most accessible being the Sleep Genie. It uses cranial electrotherapy stimulation (CES) technology to stimulate the relaxation centre of the brain, helping the user to sleep better, which in turn, alleviates some of the symptoms related to PTSD. According to Eileen Jones’ 2006 research paper Cranial Electrotherapy Stimulation, A Non-Drug Neuromedical Treatment, the device works by sending a low intensity microcurrent to the brain. The unit is designed for home use: the user fastens two clips behind the ears from a hand-held machine. Sgt. Sawyer was experiencing sleeplessness due to flashbacks and nightmares; PTSD symptoms that resulted in sleep avoidance. “I didn’t want to fall asleep because I didn’t want to relive the trauma, explained Sawyer.” As a result, he was exhausted all the time and spending $75-100 per day on high dosage sleep medication. He wanted off the medication. Leading Aircraftsman Smith wasn’t skeptical about the CES device when his therapist recommended it. He was fed up with his symptoms. He explains, “I’ll try anything to help.” After three years of using the technology regularly, he still experiences his PTSD symptoms on and off, but they are not as severe as they were before. Dr. Ken Welburn, Ph.D., C Psych, the clinical director of a trauma clinic in Ottawa, has been educating therapists for 20 years about the psychiatric symptoms of trauma. He explains that cranial electrotherapy stimulation is a widely researched area. 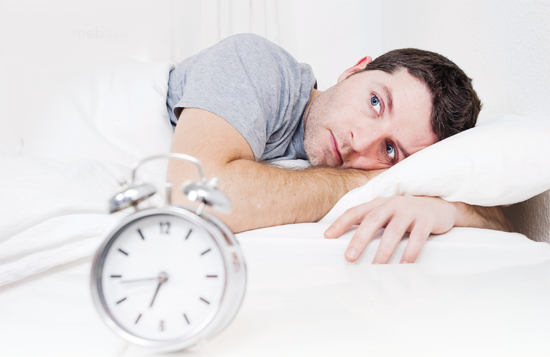 “Since the technology was invented in the 1950s in Russia for sleep problems, many scientific studies have been done and are very conclusive that it is an effective treatment of insomnia, anxiety, depression, and certain types of pain.” He was impressed with the research on CES devices, especially that there are no serious side effects, so he purchased a unit and tried it on himself. He experienced better quality sleep and felt a calm focus during the day. Both doctors believe that the use of medications for sleep, anxiety, and antidepressants can be drastically reduced with continued sessions. But they also say its important to keep in mind that changes occur over time and with continued use. As Dr. Douglas explains, “there is never going to be a cookie cutter approach for any situation.” Some people will not find relief in the technology. Dr. Welburn finds that approximately 85% of people respond positively to the treatment, while Dr. Douglas found that since his introduction of the CES device in 2006, only three patients have had a negative reaction. This entry was posted in PTSD and tagged cec in canada, CES Ultra as non-drug alternative to PSTD, cesultra, cranial electrical device, cranial electrotherapy for treating pstd, electrotherapy for veterans, PSTD on October 6, 2014 by cesadmin. As many as six million Americans are living with fibromyalgia, and in most cases they are living with the constant, unrelenting symptoms of the condition: widespread pain in muscles and joints, sleep disturbances, irritable bowel syndrome, and anxiety, to name a few. But very positive results from a new study suggest that sending mini-currents of electricity through the brain — a procedure called cranial electrotherapy stimulation –may provide relief from some of these symptoms. Alan S. Lichtbroun, MD, says he learned about the electrotherapy technique while searching for better treatments for his many fibromyalgia patients. This entry was posted in Alternative Health, Chronic Pain on October 1, 2014 by cesadmin.